"Hi Bob, I am mostly interested in wheel skis. Boyd"
"Jones Landing, Centerline for Transients"
Big Lake is 65 miles toward Mount McKinley (Denali National Park) from Anchorage and Johnson Creek is about 80 miles closer to Mt. McKinley. My plane was built from a kit purchased from the Zenith Aircraft factory in Mexico, Missouri. From start to finish it took me over 1,000 hours, but I spent a lot of extra time on the construction of skis, a custom baggage door, a survival gear box under dash, ejectable top hinged bowed doors, and more. I also installed larger wing tanks (which are now standard in the kit) and built both wings with one broken arm (and some additional help). This is a "EAA Centennial Homebuilt" and after a 1-1/2 hour FAA Inspection, it passed without a change. I'm flying every chance I get and now have more than 100 hours on the plane in 10 months. It's on Zenair 1150 floats in the summer and skis in the winter. I custom-built the skis from plans with UHMW bottoms, reinforcements and heavier axles and rigging. Part of the construction time was from working with ROTAX Austria to get approval to slightly modify the tuned air intake, to fit on the 701, and I believe it was the first 100-hp. Rotax 912S to use it. The plane flies unbelievably well. The shortest take off on skis, with no wind, pilot only, was 25 feet. 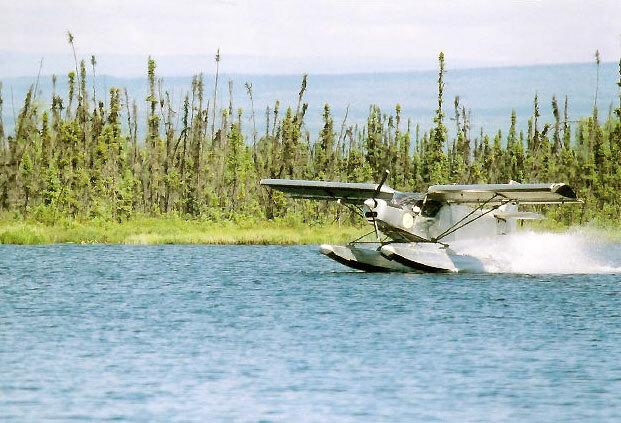 The slowest landing I've made on floats was 28 miles per hour, the shortest landing and take off (at gross) on floats, was 400 feet. 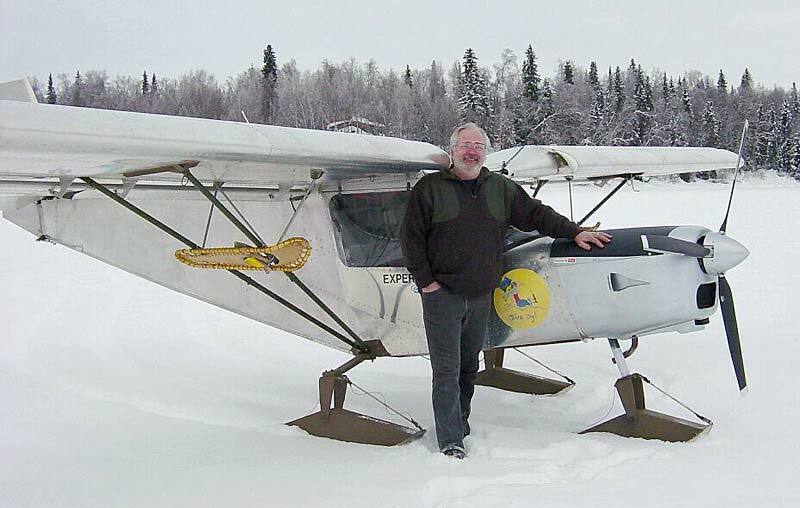 The plane will land itself, skis, floats, wheels, it doesn't make any difference. Anyone wanting to know more can contact me. I am mostly interested in wheel skis. Hi Bob. Thanks to your reply on my airbox question. Firstly, I had a look through your photos and I'm impressed. The engineering mods you have incorporated look very interesting indeed. Skis and floats! We have a local 701 owner who has a set of floats but I haven't seen skis before. The aerofoil roof panel is interesting too. One of our local 701 guys has just done his and claims a 4-5 knot increase in speed. Myself and another guy are looking to do ours soon too. The wingtop fences are interesting. Are that associated with the skis and floats, or some other aerodynamic aid? Now, the airbox. Would you be able to send me some photos, as it sounds like you might have already done what I want to do. I am buying a new Rotax engine for mine (although the old one has only 250hrs, it is an old one. A local guy is going to buy it for a good price, but there is a whole new topic) Anyway, if I buy the Rotax airbox at the time of engine supply, I can get a sizeable discount, although it is still expensive at $1250. I'd like to see how you modified yours and that might be the way to go, as opposed to making one from scratch. Secondly, great photos. Reminds me of much of our own flying ground here in the South Island of New Zealand. We have about 6 701s here and we go flying on Saturdays along with guys in Savannahs and Foxbats. I have a 914 but I will check the intake mount points to make sure they are isolated on the engine side. Black Bear went through my 4 ft X 8 ft kitchen window of my Northern Quebec camp last week. I'm still looking for the bear. A Timber Wolf was coming around my camp 2 - 3 times a day... close a 30 yards, 3 warning shots the 4th a kill. I'm carrying a rifle around the camp these days also. Never had a bear problem in 35 yrs, this year a bear & wolf. Hey Bob....thanks for those strut lengths. Hi Bob, I was at Zenith last week and requested a drawing to attach two strap seat belts to a 701. They asked me to contact you. Last year a friend crashed his 750 and slid out the standard belt setup causing him severe damage which could have been avoided with a two belt system. 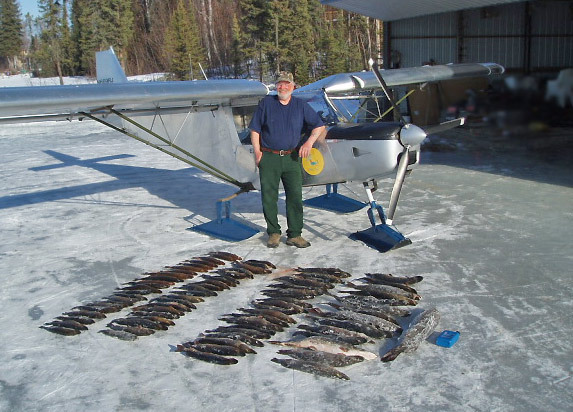 I will bring my plane to Anchorage the end of April. We can get together then. Let me know of any requirement that I may need to follow.